With all of the negative things going on in the world as of late, this holiday season is a perfect time to focus on the good. #GivingTuesday comes right on the heels of Thanksgiving and its subsequent consumer-based holidays, and I hope that everyone gives a donation, no matter how small, to an organization that does something great for the world. I want to give a shout out to smaller non-profits for all of the work that they do. If you were to ask any person on the street to list a few of the non-profits they are aware of, these non-profits probably wouldn’t be on their list. However, we cannot ignore the fact that these organizations do necessary and selfless things for the world, regardless of their size and scope. The inevitable fact is that no matter how big or how well-known a non-profit may be, it cannot do everything. It cannot save everyone. It may have a hefty and inspiring mission statement, but there are some things that they cannot and will not do. That is why I am choosing to donate money to the small non-profit that I volunteer with as a blog writer, Amman Imman: Water is Life. of a devastating situation. 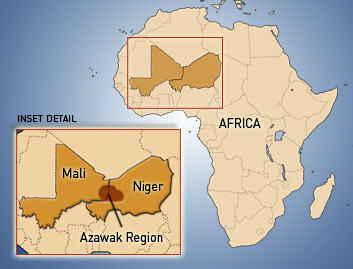 There is a region called the Azawak, situated in both Niger and Mali, that is so water-deprived that the inhabitants had to walk up to 30 miles every day just to find water, many times not finding any. Global warming has also taken its toll on the region, making the rainy season shorter than it has ever been before. 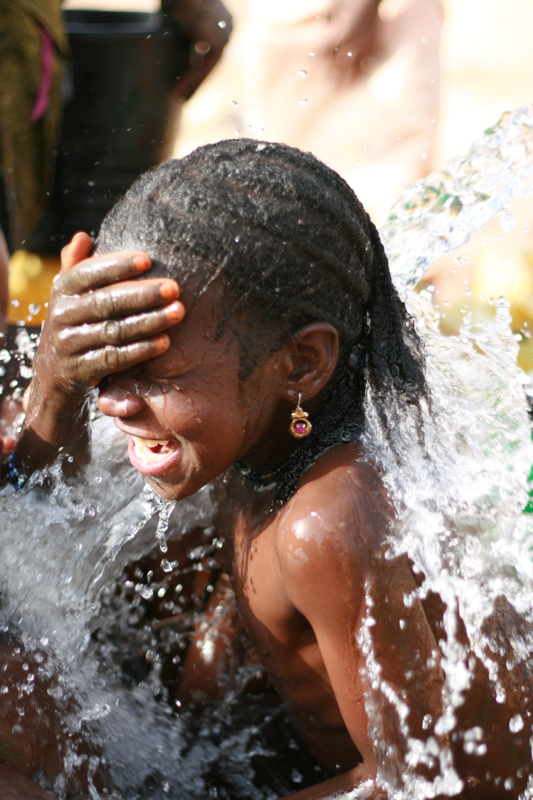 Not to mention, any water available to the people of the Azawak was severely contaminated. However, there is a significantly-sized aquifer underneath the region that is able to provide a clean and permanent water source to these peoples. Ariane knew that this issue was the responsibility of developmental organizations and the government, so she reached out and asked for help. profits they knew about, were unable to provide assistance. They said the area was too poor and remote, that there was no infrastructure, that it was too dangerous. This is not to say that these organizations should be scorned or that what they can do is any less deserving of our awe and respect. It is simply a matter of fact that no organization can do it all. So Ariane founded Amman Imman, and our focus is specifically in the Azawak region. We have constructed a several boreholes, and we have remained in the area to provide programs that lead to stability in health, education, and food levels. We have built personal relationships with the people we help. The people of the Azawak are receiving the time and dedication of Amman Imman that could not have been provided for them by a bigger non-profit. Perhaps one of the inspiring parts about Amman Imman is that many of our donors and fundraisers are young children. The education that we provide works both ways: we educate the people of the Azawak in the ways they can sustain themselves, and we educate the more fortunate to become what we call “heroes of compassion.” We are teaching values that we believe will result in a more global society, while also inspiring young people to reach out and help their brothers and sisters who are less fortunate than themselves. Although our non-profit is small, I couldn’t be any prouder to volunteer for them. I know my small part is relief to them, because it allows the more central members to focus on the more imperative tasks in order to achieve our mission. Heroes of Compassion who reach out and help. So I ask all givers to really reflect upon which organizations they will be donating to on #GivingTuesday, and hopefully for the rest of their lives. We should absolutely support big non-profits that we know make a large difference, but we should also think of the little guys. They take on the tasks that nobody can, and they focus on that task until they can bring it to fruition. It doesn’t matter if they are providing water to poverty-stricken people of Africa, or simply building wheelchairs for those who can’t afford to buy one. Their smaller task is just as important as the larger tasks that are already receiving significant funding, and they need our support. Find a non-profit that aims to do something you can really get behind, and donate. Your donation will go a long way. 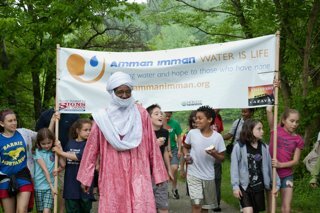 To learn more about Amman Imman: Water is Life visit here. Tanamert wooley! Thank you very much!